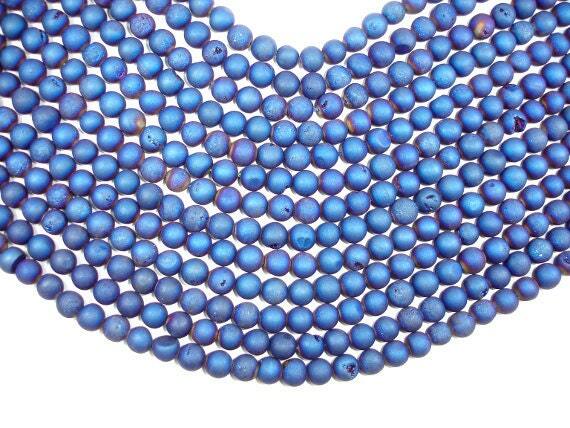 The size and shape of each bead vary slightly with some beads having various flat spots. 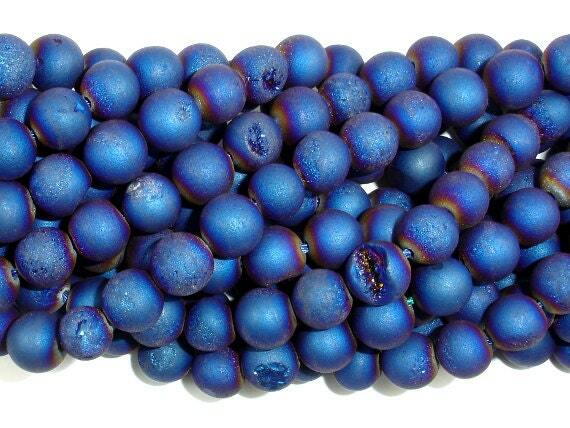 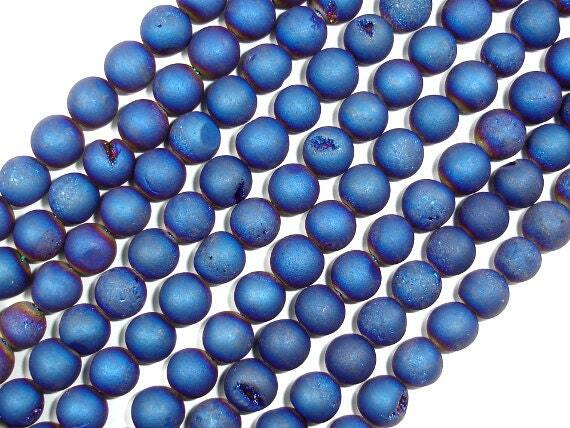 The beads feature a matte blue color with crystal inclusions occupying the openings or surfaces of some of the beads. 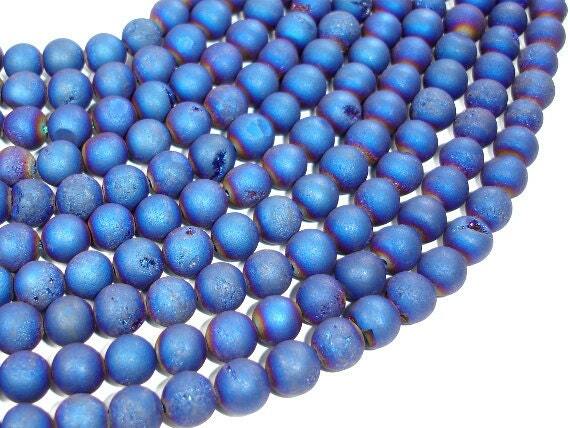 Love these beads and very fast delivery!